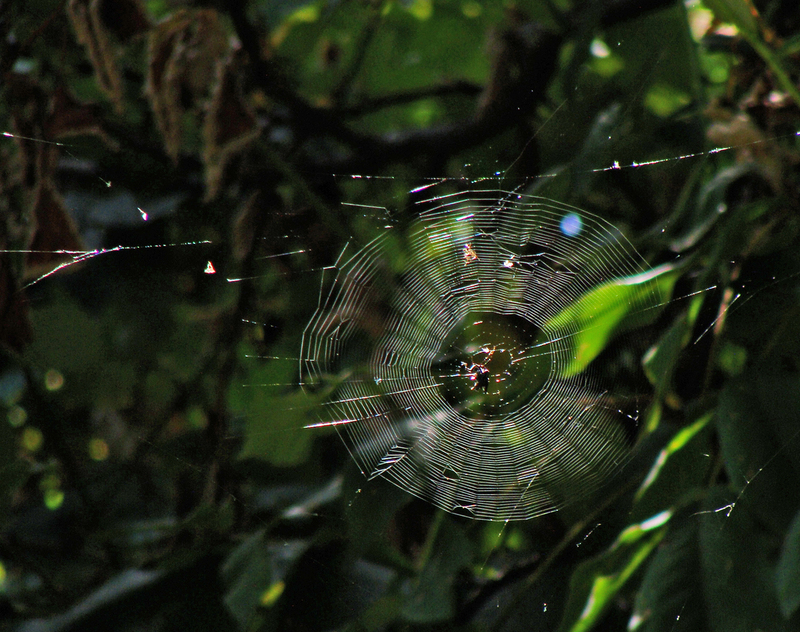 Shaft of summer sun back lights this tightly knit orb web in the brambles. Orb spider in the brambles. 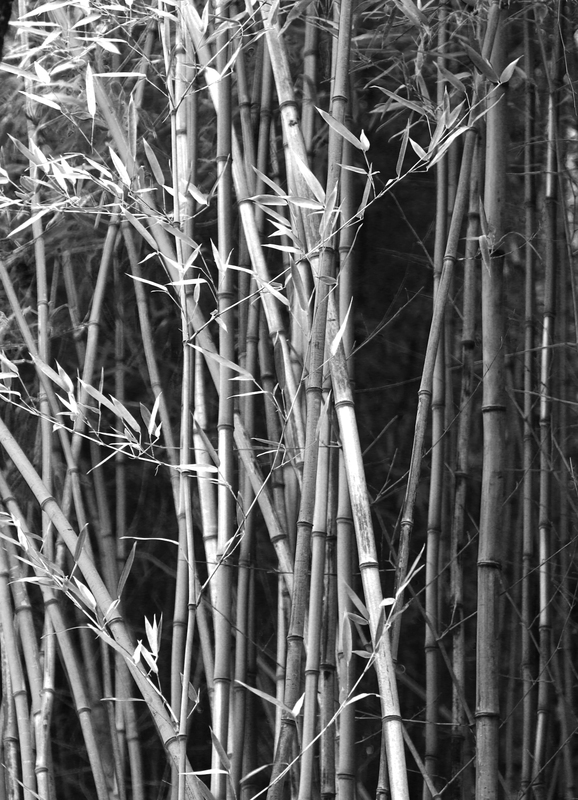 A stand of bamboo native to Arkansas. 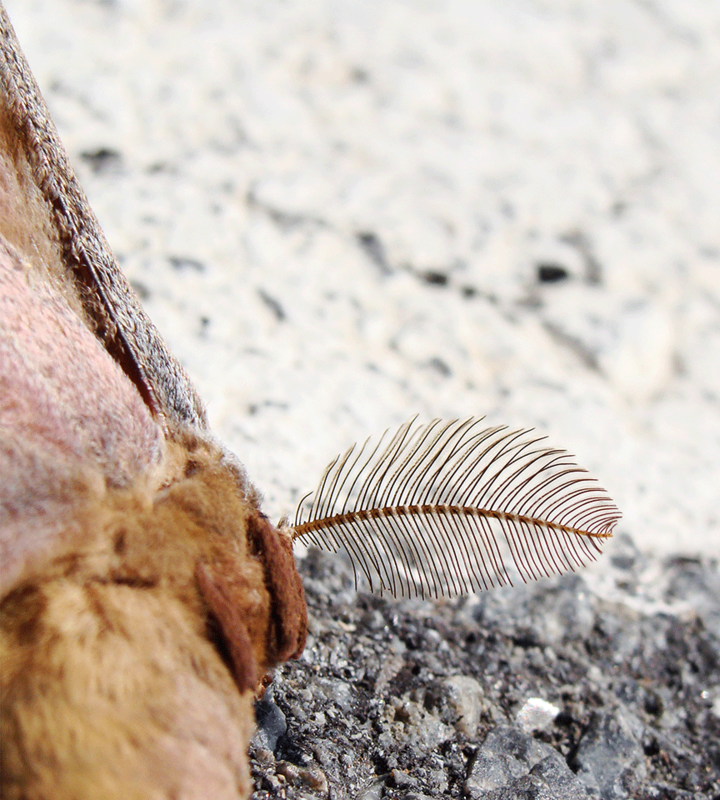 This shot photo was taken for the Aug. 10 weekly photo challenge, but didn’t make the cut. 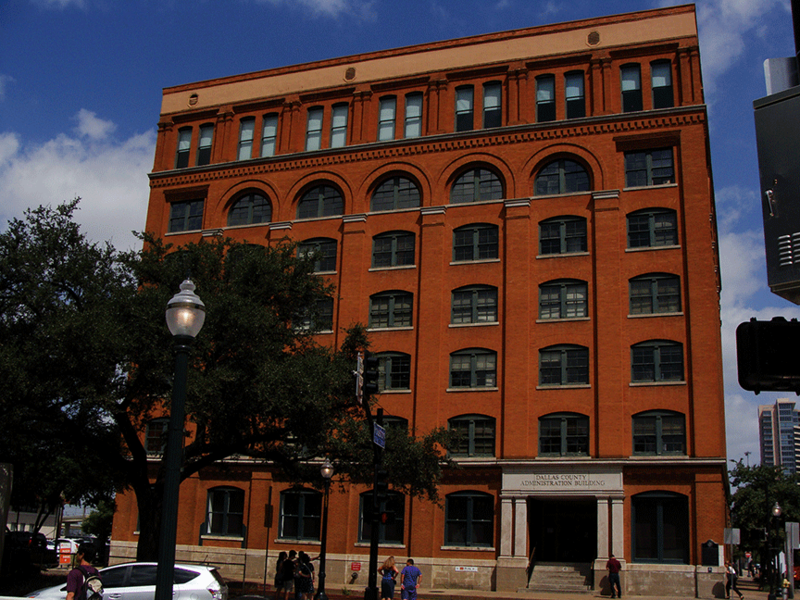 During our visit last week to the Dallas-Fort Worth area, we visited the Sixth Floor Museum in the book depository in downtown Dallas. The museum is dedicated to a rather grim event — the assassination of John F. Kennedy. We arrived before opening and were expecting to be two of just a handful of visitors. We were wrong. The vestibule was crowded and getting more full as opening time approached. The loss of this man and the mysteries and theories surrounding his death seemed to have universal appeal. In the group around us, we heard soft conversations in Spanish, Portuguese and German. The museum was both somber and informative, with the specter of Kennedy’s death relieved by videos and displays dedicated to the life of this vibrant president and his family. Outside, people wandered the grassy knoll and around Dealey Plaza. A couple of shade tree assassination experts hawked tip sheets and gave impromptu tours. In the street, a half-erased white X purportedly pointed out the spot where there the fatal shot found its mark. And there was the most disturbing sight, watching tourists take turns running into the street, dodging cars, and taking selfies or photos of each other, smiling and waving where the president drew his last breath. 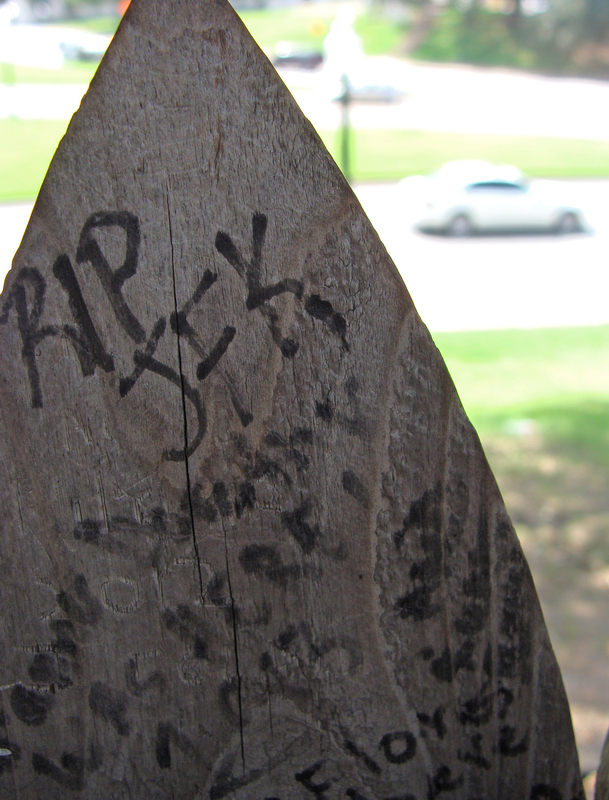 Atop the grassy knoll was a fence on whose pickets were inscribed various graffito, including some dedicated to the slain president. 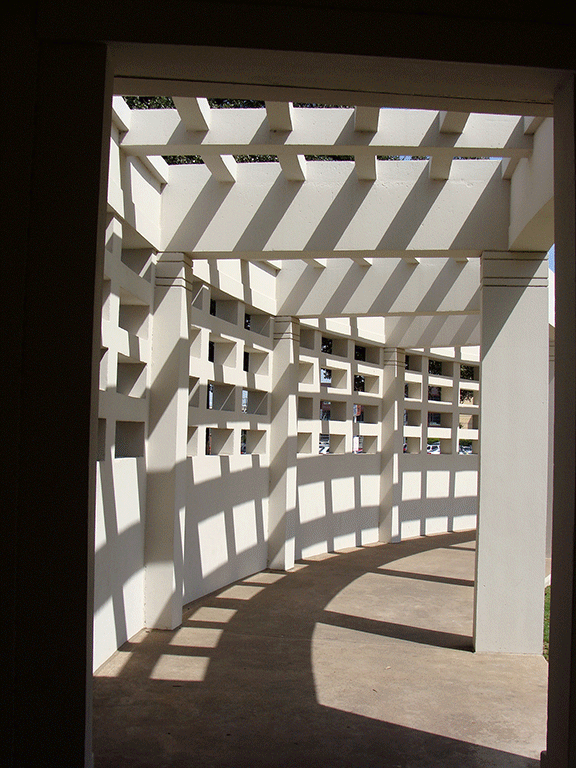 Structure atop the grassy knoll. The book depository at Dealey Plaza in Dallas. The building where the assassin was said to have shot the fatal bullet. It now houses the Sixth Floor Museum. Though both my husband and I lived in Texas at various points in our lives, neither of us had spent much time in Fort Worth. This month, we both spent most of a week there, held captive brought there by a conference at the Hotel Texas. The hotel, now a Hilton, is famous for being the last overnight stop for JFK and his wife before his assassination in Dallas. During the lunch hour, we were able to stroll around the city’s downtown. Walking back to the hotel, we did a double take. 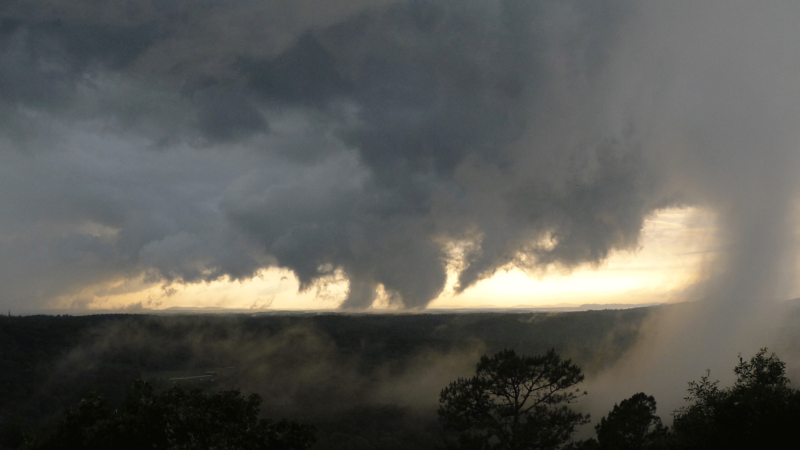 Were those really trumpets hanging out over the street? Indeed they were! There were two 48-foot-tall angels carved into the facade — marking in no uncertain terms, the location of the city’s Bass Performance Hall. No doubt about it. Texans do things big. 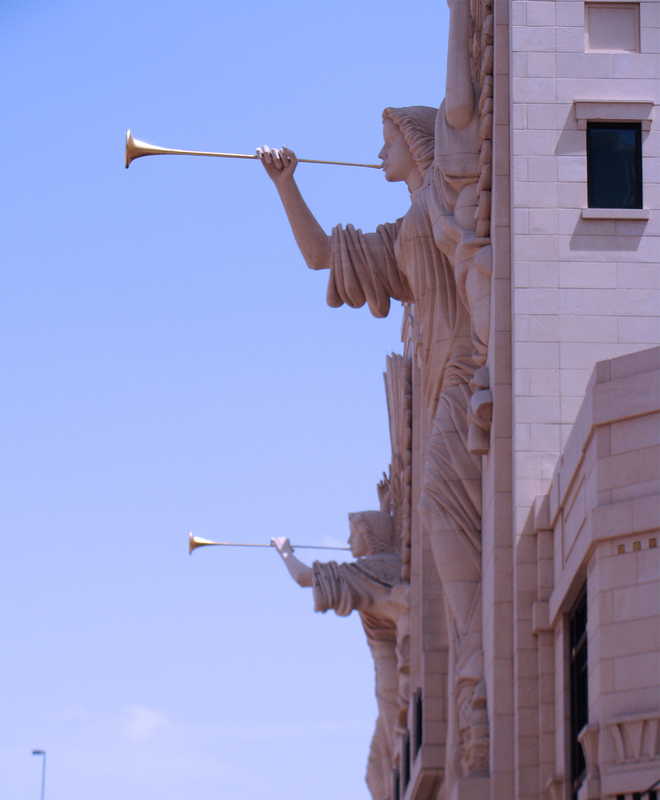 Trumpets blaring – two angels flank the facade of the Bass Performance Hall in Fort Worth, Texas. 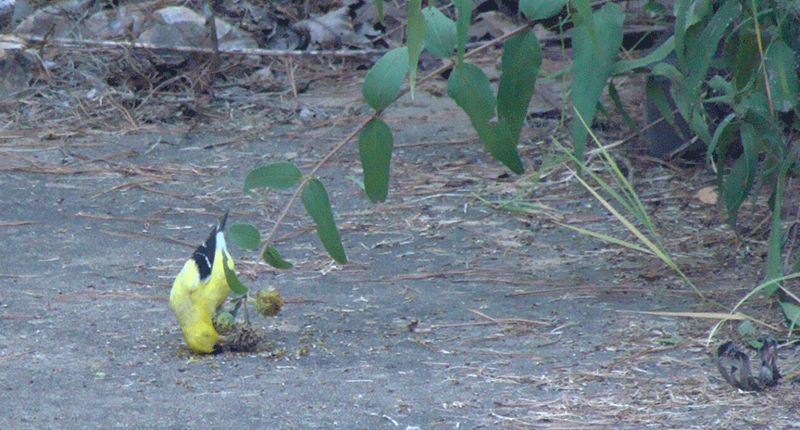 This goldfinch must’ve been ravenous! He proved quite determined to pluck every single seed out of a faded wild sunflower, pecking at the little globe from every angle. My had husband pointed out the flash of yellow among the quivering stems and we watched for about 10-15 minutes as he performed his acrobatics during breakfast yesterday. 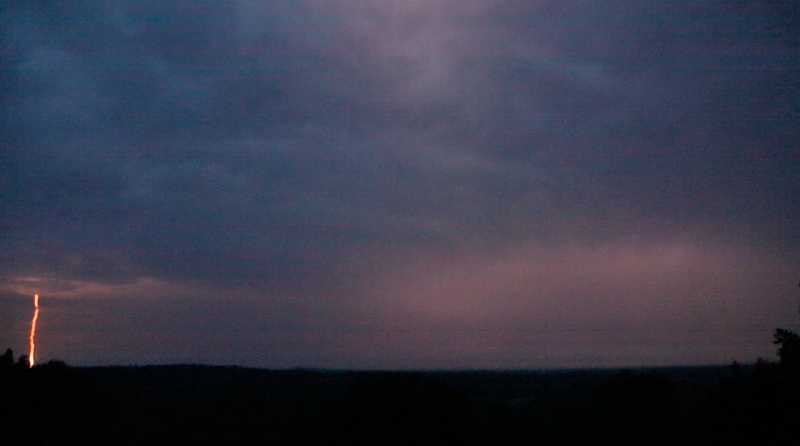 A few minutes later, the Mrs. showed up to finish off what he’d left. 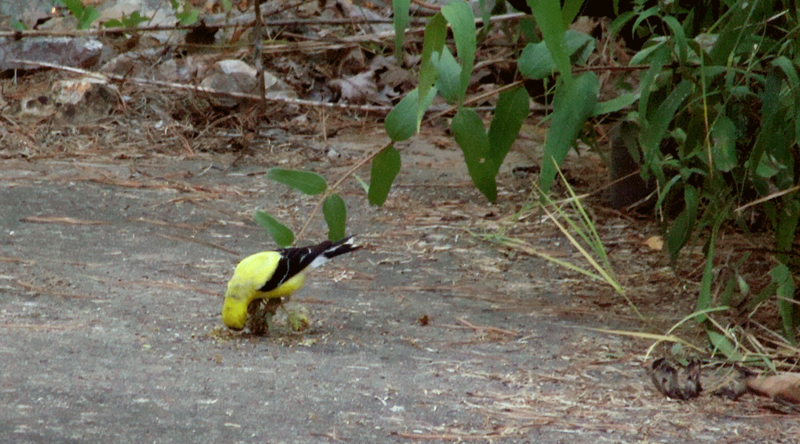 He didn’t fall on his head, but was working his way around the globe of a sunflower seed head. There’s got to be more seed at this angle. Keep going. A clue to how he got into the position of the top photo. 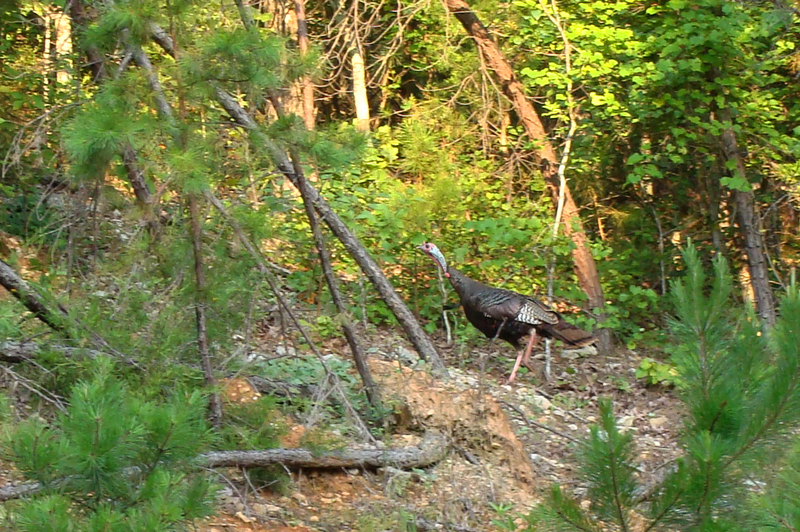 It’s been 18, maybe 24 months, long since we’ve seen or even heard from our resident turkey flock — one tom and two hens. (there’s always a fear they’ll be poached) For the first few years we’d lived here, even if we never saw them, you could hear them gobbling around in the woods. However, a couple of weeks ago we spotted the trio as we headed to work. They were headed down to the pond, but seeing our car changed their plans and they headed back to where they’d come from. 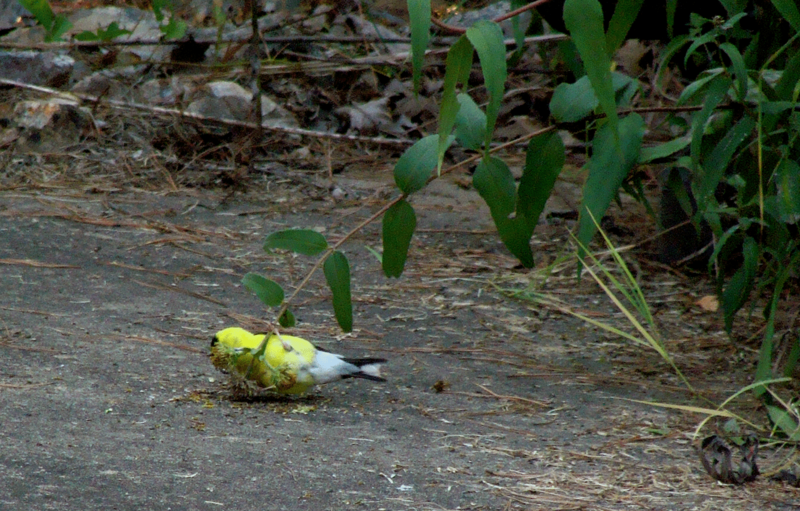 Not quick enough with the camera to catch all three, but managed a parting shot of this bird running up the mountain. Wild turkey runs up the hill to escape morning commuters. Was doing some busywork this afternoon — clearing away spiderwebs and pulling up weeds that grow between the seams in the sidewalk. Came inside to make a little peach tart, when it occurred to me that there was something on my glasses. Thought it was a segment of bermudagrass that perhaps had fallen out of my hair and onto my frames. 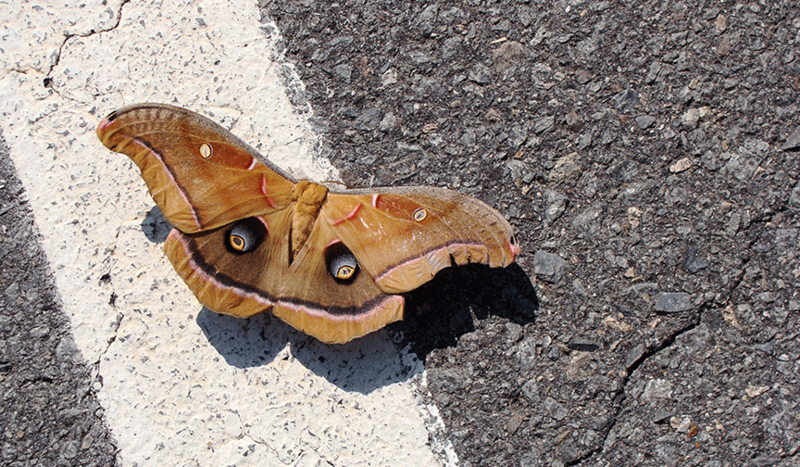 Was about to flick it away and then realized that grass was really a green walkingstick. 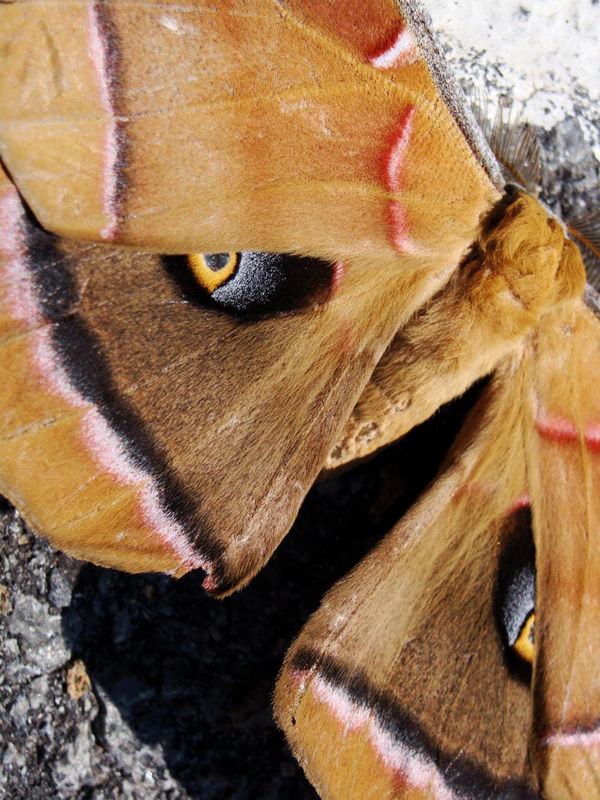 Put him safely outside in one of the pots out on the deck, where he curled gracefully into the oregano. 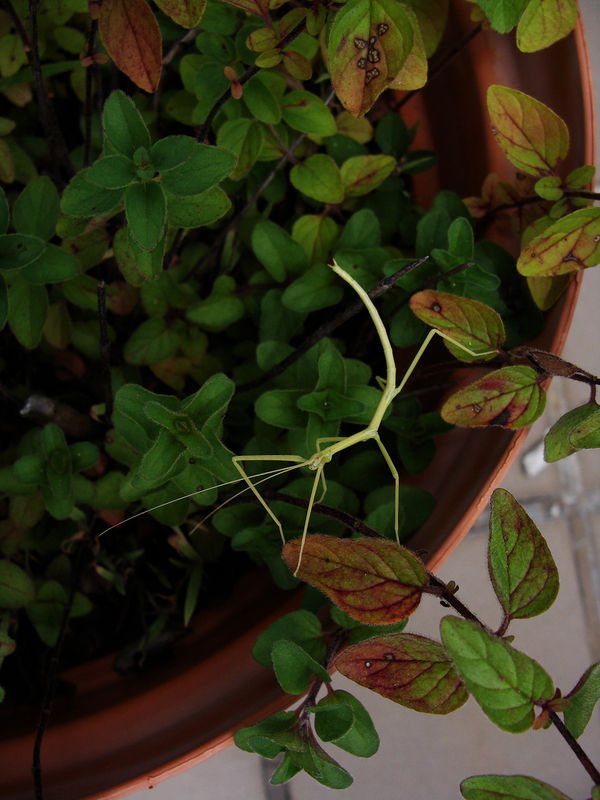 Green walkingstick climbs into an oregano jungle. What a view! 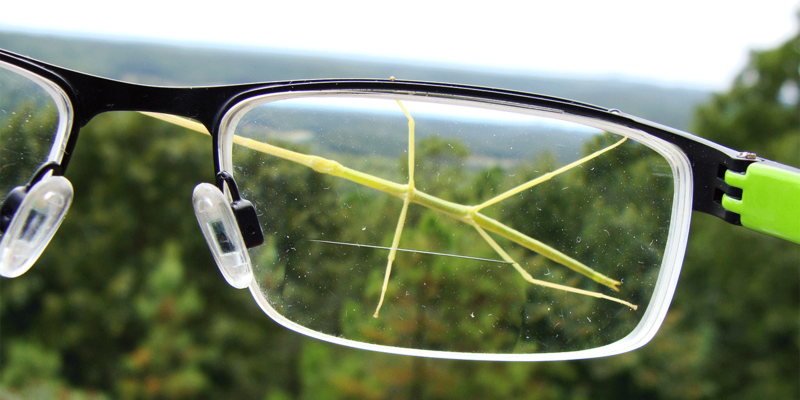 Up close with a green walkingstick.